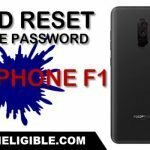 If you have forgotten your Vodafone Smart E8 Password, Pin, or Pattern Lock, or if you are facing hanging issue, or you are unable install any virus application from your device, so you can fix all these issues just by Hard Reset Vodafone Smart E8 Device, but you will lose your data in this process, because hard reset means, you are deleting your device complete data and your cleaning up your device. -First of all you have to turn off Vodafone Smart E8. -Press & Hold (Volume UP + Power key) together for few second until you see “Android” on your Vodafone E8 screen. -Once you see “Android” on your screen, just release (Power Key) and keep pressing (Volume UP) key until you enter into “Android Recovery Mode”. -Once you enter into “Android Recovery Mode”, just release (Volume UP) key. -Now by pressing (Volume Down) key, go to “Wipe Data/Factory Reset Protection”. 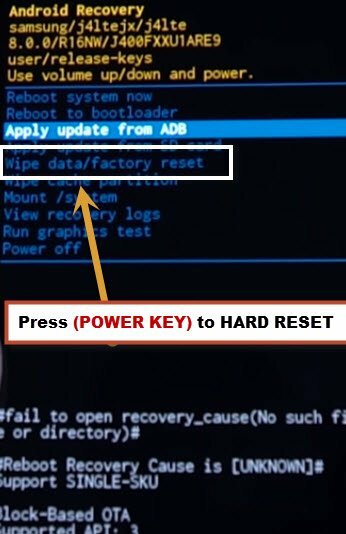 -After that, Press (Power Key) to select the option “Wipe Data/Factory Reset Protection”. -Now wait few minutes, until you see “Data Wipe Complete” on the bottom of your screen. -Press (Power Key), after that your Vodafone Smart E8 will auto reboot. 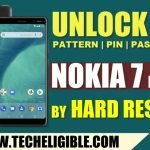 -Perfect, now you have successfully Hard Reset Vodafone Smart E8. 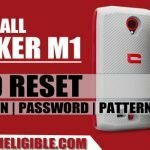 -Complete initial setup to access your device. 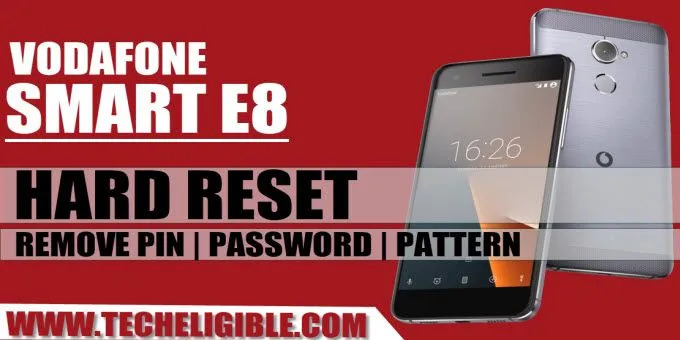 -If you know your device password, Pin, Pattern lock, and even then you wanna hard reset device just clean up data, viruses, bugs, or apps, then you can easily Hard Reset Vodafone Smart E8 by following below method. -Go to your device “Settings”. -If you are not aware of how to go to device settings, just go to “MENU”, and then tap on “Settings Gear icon” from there. -Go down, and tap on “Backup & Reset” device. -Now last step to Hard Reset Vodafone Smart E8, select “Erase Everything” option. -Your Vodafone device will auto restart. -Complete initial setup to access Vodafone Smart E8 home screen.